Mike Moore | The Journal Gazette Chad Seewald, co-owner of Sweets So Geek, wraps Valentine's Day chocolates at his shop on North Anthony Boulevard on Thursday. Mike Moore | The Journal Gazette Mad Ants defenders Davon Reed, center, leaps into the air for a put-back as Alize Johnson scores under the basket in the second quarter against Capital City at Memorial Coliseum on Thursday. 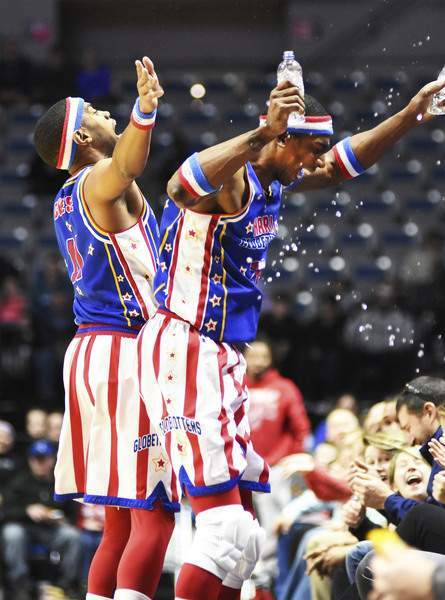 Katie Fyfe | The Journal Gazette Harlem Globe Trotters' Cheese Chisholm and Hi-Lite Bruton get excited during the first quarter against the Washington Generals and toss water over some fans on the sideline at Memorial Coliseum on Sunday. 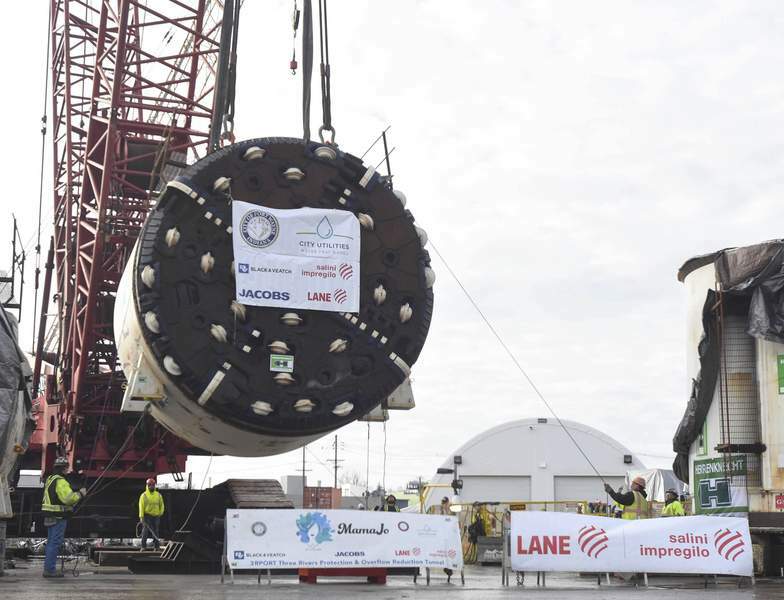 Michelle Davies | The Journal Gazette Construction crews work to position Mamajo, the tunnel boring machine, over the working shaft of Fort Wayne's deep rock sewer tunnel. The cutterhead, weighing 200 tons and 16 feet long, was hoisted down the 220-foot working shaft. The machine moves 3 feet per hour, with an optimum of 72 feet per day, 5 days a week. 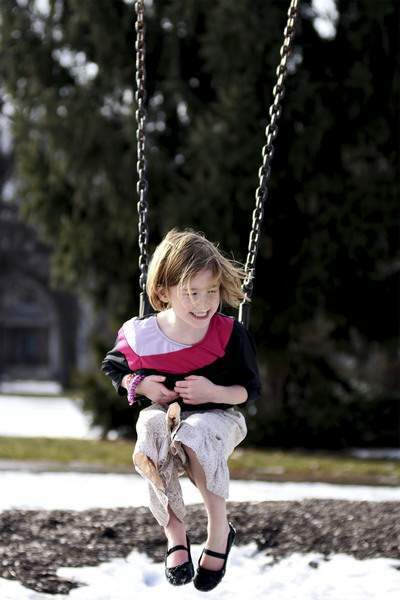 Katie Fyfe | The Journal Gazette Charlotte Gillan, 6, plays on a swing at Lakeside Park during warm weather in Fort Wayne on Sunday. 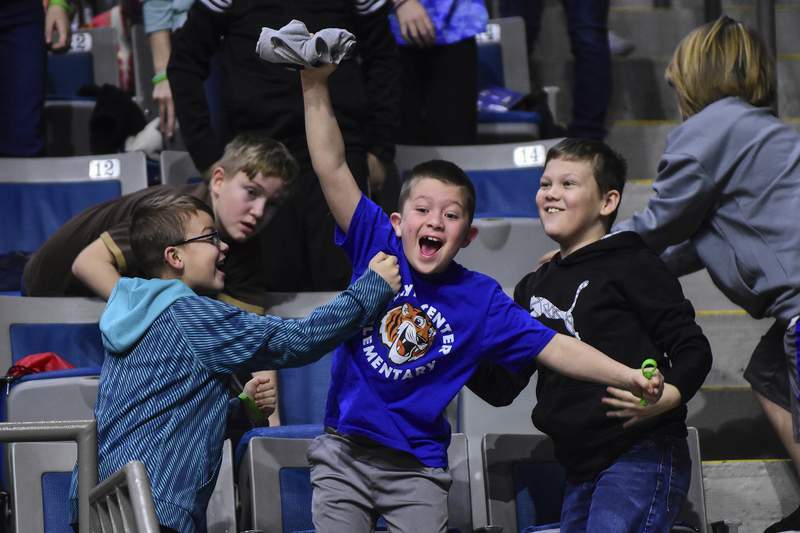 Mike Moore | The Journal Gazette Second-grader Renji Peterson explodes with excitement after catching a t-shirt thrown to him by the Mad Ant during a school field trip to watch Thursday's game against the Capital City GoGo and the Mad Ants at Memorial Coliseum. 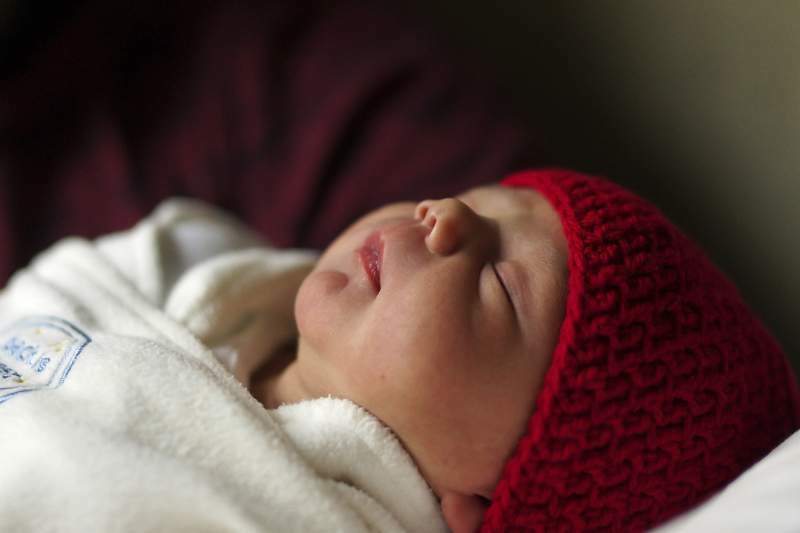 Mike Moore | The Journal Gazette One-day-old Lydia Gomez sleeps in her father's arms while sporting a red knitted hat given to her by the American Heart Association "Little Hats, Big Hearts" program in recognition of American Heart Month and Congenital Heart Defect awareness week at Parkview Women's and Children's Hospital on Wednesday. 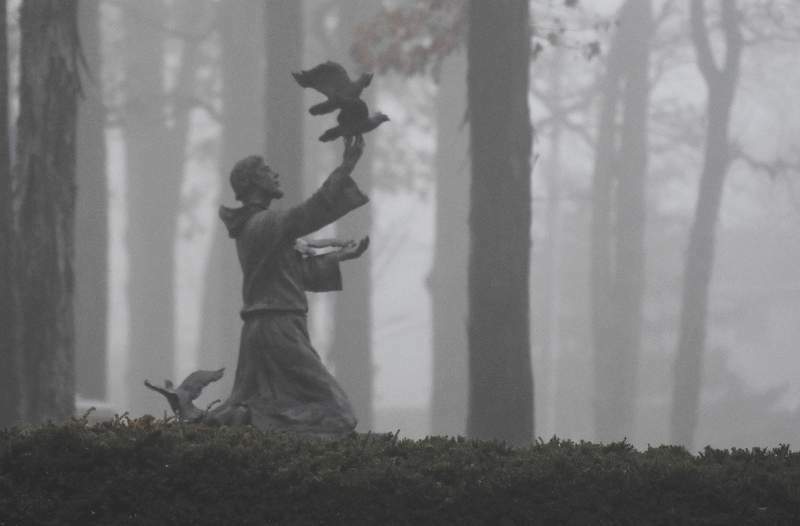 Michelle Davies | The Journal Gazette Fog settled in Thursday afternoon on the University of Saint Francis campus. 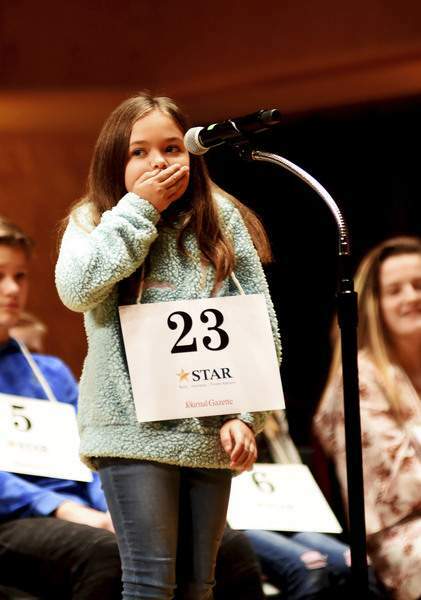 Katie Fyfe | The Journal Gazette Blackhawk Christian School fourth-grader Liliana Bair accidentally says the wrong letter during the practice round of The 65th annual Journal Gazette Allen County Spelling Bee at the Purdue University Fort Wayne Rhinehart Music Center on Thursday. 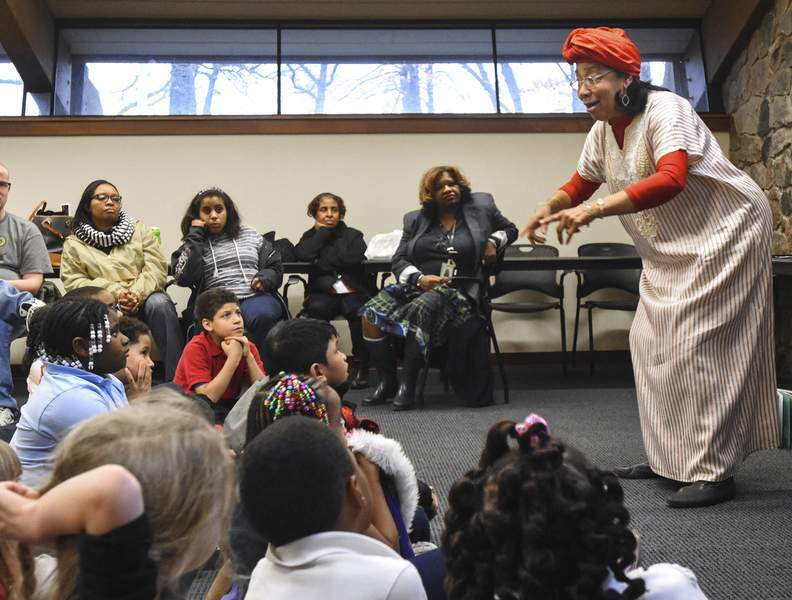 Michelle Davies | The Journal Gazette Chief Condra Ridley tells the story of "The People Could Fly" during her presentation of Folk Tales and Songs from the African Tradition on Wednesday afternoon at the Shawnee branch of the Allen County Public Library. 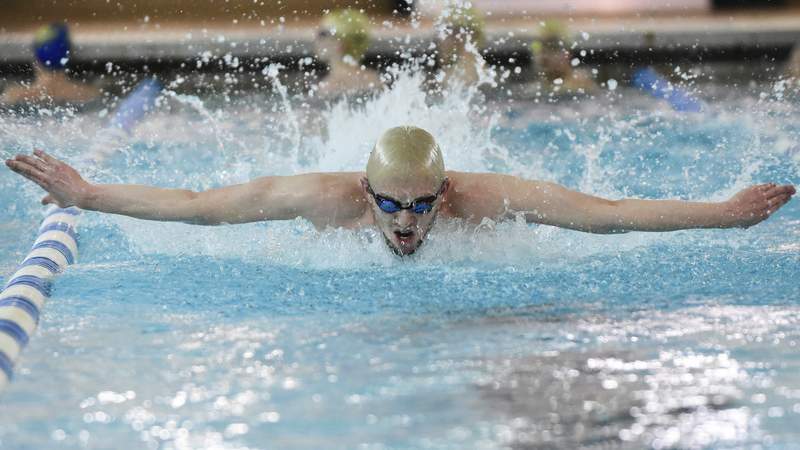 Mike Moore | The Journal Gazette Homestead High School swimmer Julian Norman swims laps during practice at Summit Middle School on Monday. 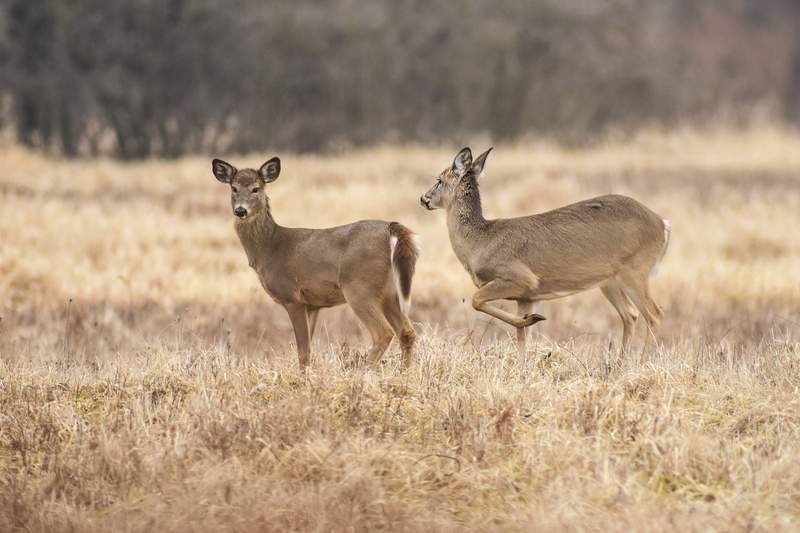 Mike Moore | The Journal Gazette After warmer temperatures thawed the ground, a group of white-tailed deer look for food in an open field in southwest Fort Wayne on Monday. Michelle Davies | The Journal Gazette V.J. 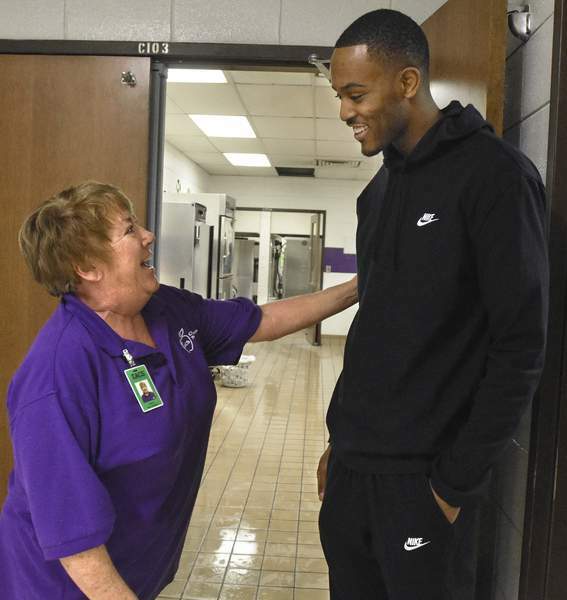 Beachem, former New Haven High School basketball standout who now plays with the Windy City Bulls, took a moment to greet his favorite cafeteria worker, Mary Jacquary, when he visited the school Friday afternoon. 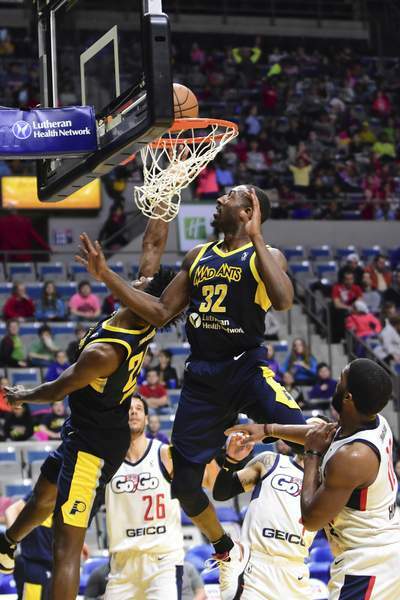 Beachem and his team were in town to play the Mad Ants Friday night at the Memorial Coliseum. 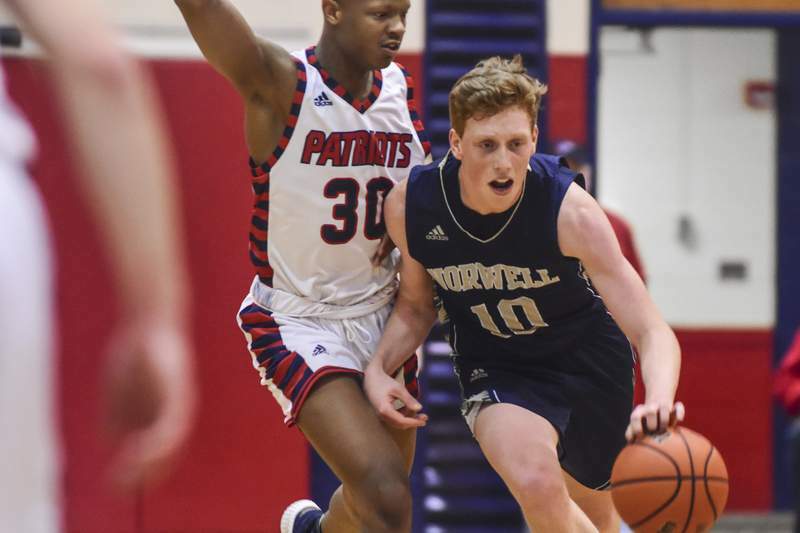 Mike Moore | The Journal Gazette Norwell junior Conner Torson drives down the court defended by Heritage forward Jason Holliness-Bell in the second quarter at Heritage High School on Tuesday. 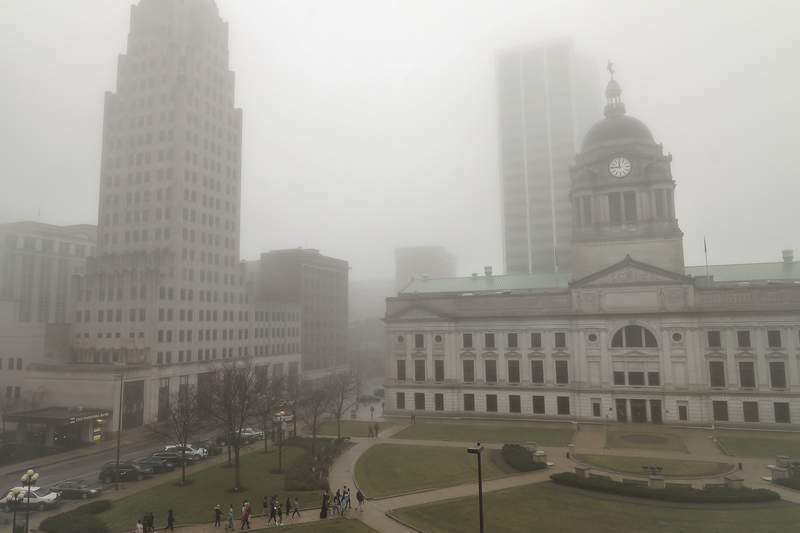 Mike Moore | The Journal Gazette Heavy fog descends on downtown Fort Wayne on Wednesday. 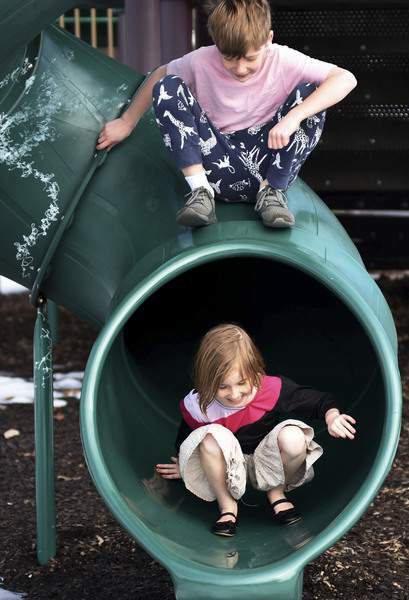 Katie Fyfe | The Journal Gazette Henry Gillan, 9, and Charlotte Gillan, 6, play on the slide at Lakeside Park during the warm weather in Fort Wayne on Sunday. 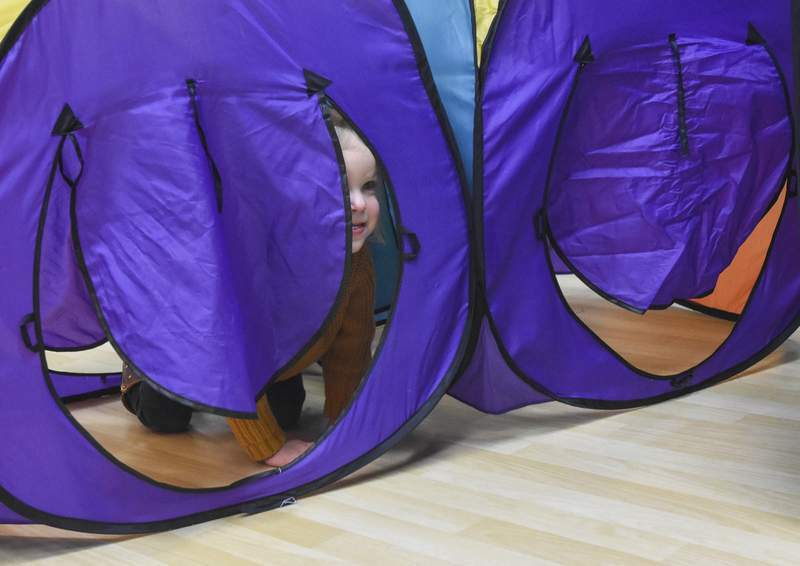 Michelle Davies | The Journal Gazette Laurel Schumm, 2, of New Haven peeks out from the play cubes during Wednesday morning's Tot Time at the New Haven Community Center. 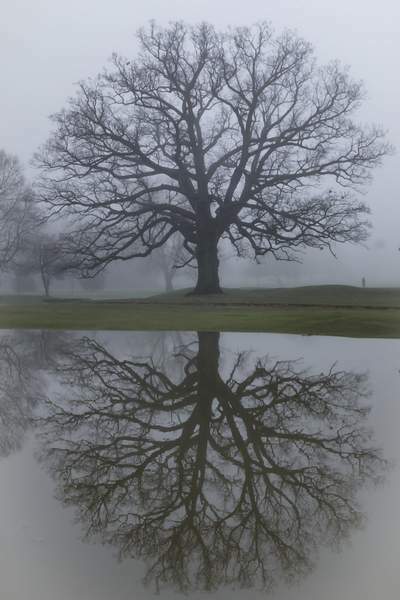 Mike Moore | The Journal Gazette Flooding of low lying areas caused by melting snow at Foster Park on Wednesday creates symmetrical reflections on the water. 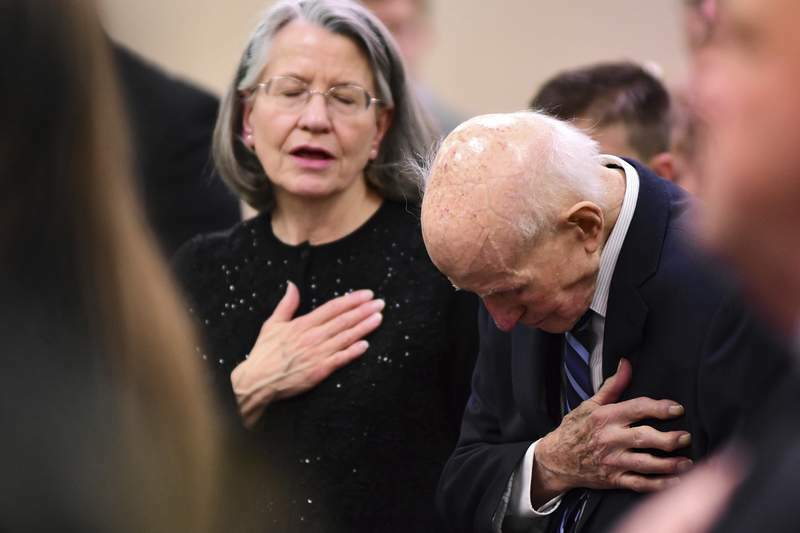 Jan Caron stands with her 95-year-old father, Fort Wayne native and World War II veteran Paul Ripley, in observing the national anthem before Friday’s ceremony in which Ripley was given France's highest distinction for his service. 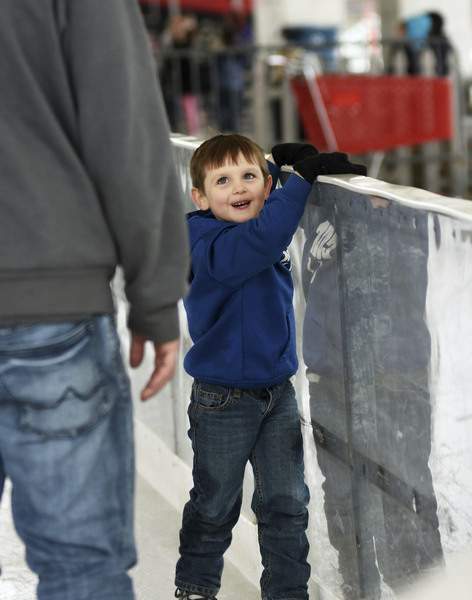 Katie Fyfe | The Journal Gazette Hunter Leslie, 4, practices his ice skating skills with his father Ben Leslie at the Headwaters Ice Skating Rink in downtown Fort Wayne on Sunday afternoon. 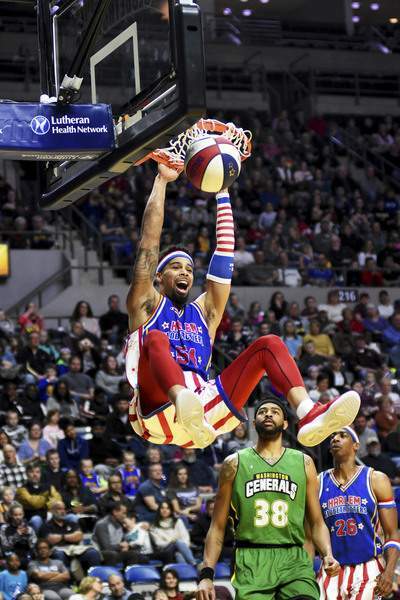 Katie Fyfe | The Journal Gazette Harlem Globe Trotters' Hi-Rise Hinton dunks the ball into the basket during the first quarter against the Washington Generals at Memorial Coliseum on Sunday. 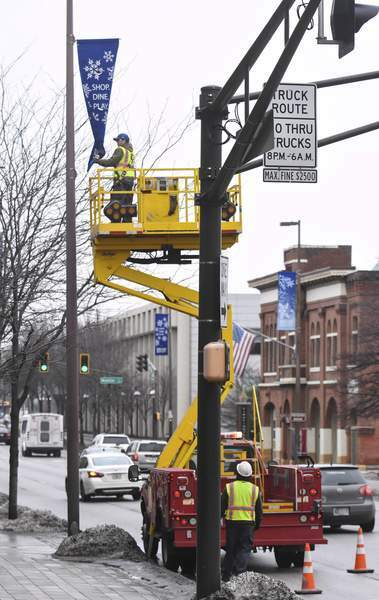 Michelle Davies | The Journal Gazette Sean Dold, Fort Wayne traffic operations signs and marketing specialist, works on taking down the banners along Washington Boulevard Monday afternoon. 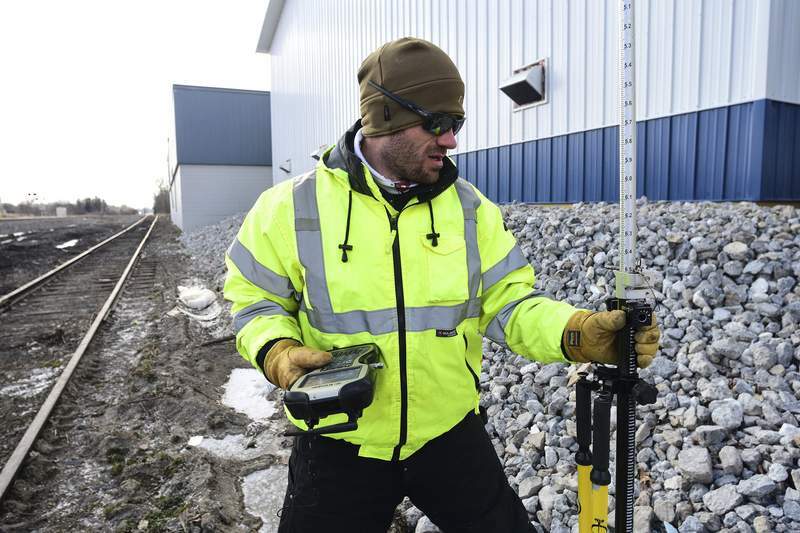 Mike Moore | The Journal Gazette Brooks Construction surveyor Adam Framme verifies plot points around an industrial complex on Friday for the business to receive its certificate of occupancy from the city. 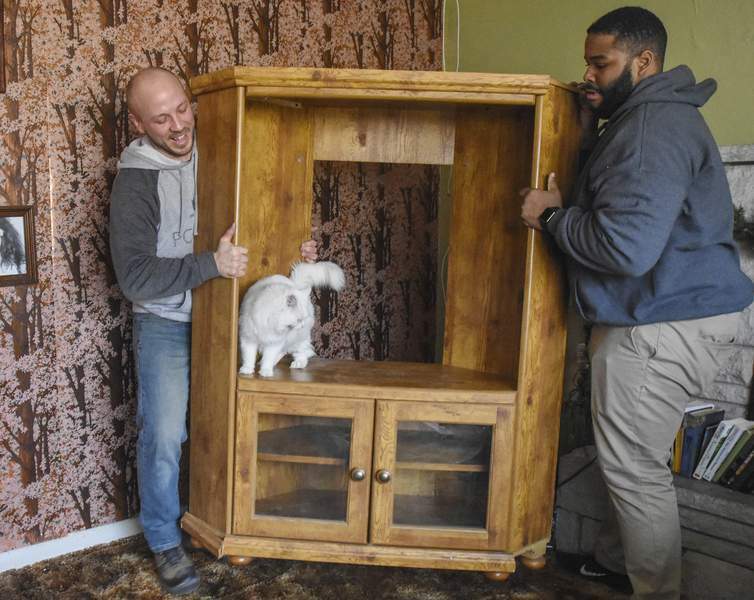 Michelle Davies | The Journal Gazette YMCA members Shea Connelly, left, and Juwan Turner move a TV cabinet for homeowner Lillian Gebert while her cat Sky goes along to supervise. The furniture rearranging was part of the AOA (Active Older Adults) Friday Friends Group service project, part of the YMCA in partnership with NeighborLink. The group helps older homeowners with projects that they need completed. 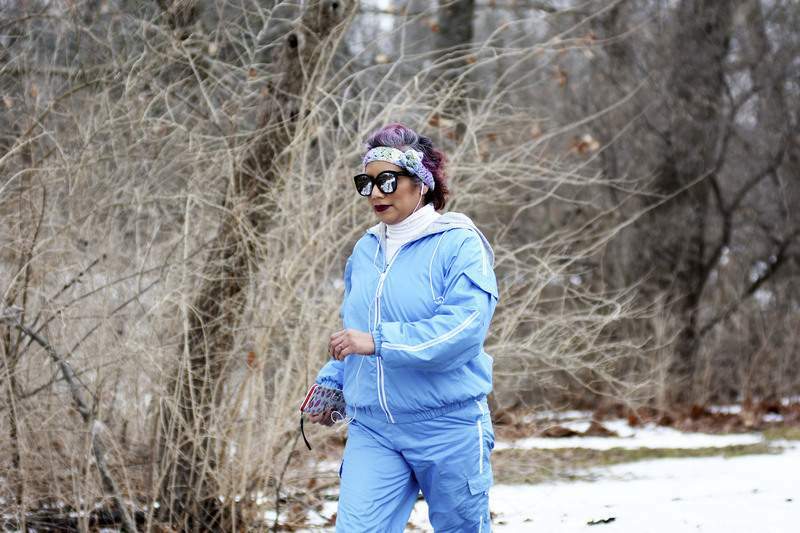 Katie Fyfe | The Journal Gazette Alejandra Licona goes for a power walk through Foster Park in Fort Wayne on Sunday. 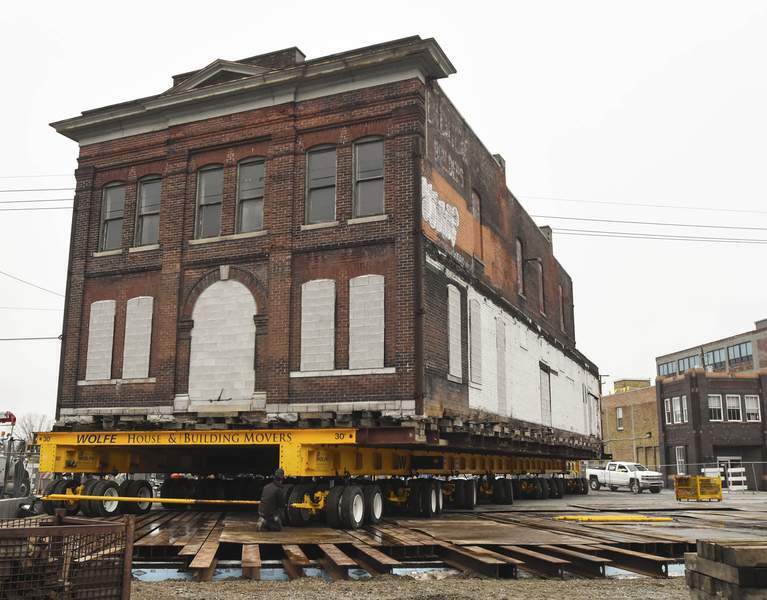 Michelle Davies | The Journal Gazette The Baltes-Cambray building waits to be moved into its final position at the corner of Superior and Harrison streets Tuesday morning. The building, owned by Don Hall's Restaurants, will be renovated into a modern bar and restaurant. Favorite photos of the week from The Journal Gazette photographers.